GraphJam has hundreds and thousands, nay, hundreds of thousands, of graphs. Some funny. Some not. Here are some coffee related graphs from GraphJam for your edification. Nice little infographic from life in the office. My coffee in the office solution is an aeropress. It significantly cuts down on time spent preparing coffee at work, so it’s less of a cost for your employer. Which is socially responsible. 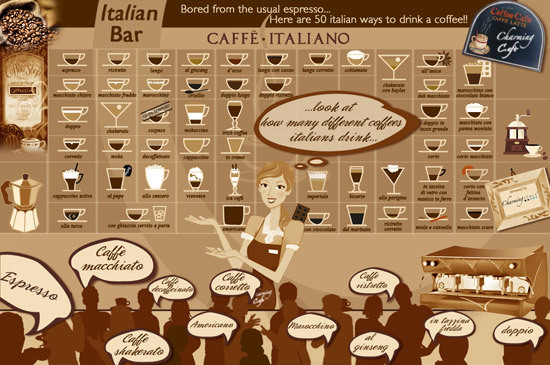 There are many ways to enjoy a coffee, and many ways to ruin good coffee by trying to enjoy it… while this infographic struggles with some basic english, it provides a bunch of new drink varieties for you to google. Regular readers will already be familiar with the health benefits of caffeine, here’s some more “evidence” in the form of an infographic, for the visual learners. Do you know what a dry cappuccino is – it’s one with airy foam rather than microfoam. I can’t understand why you’d want that. Here’s a handy infographic from Flickr user Nyoin. While the infographic I posted a couple of weeks ago went down the pie graph path for explaining the content of some standard (and some rare) coffee fare – this one sticks to the basics to make sure you get your drinks right first time, every time. From lokeshdhakar.com, where there are heaps more. 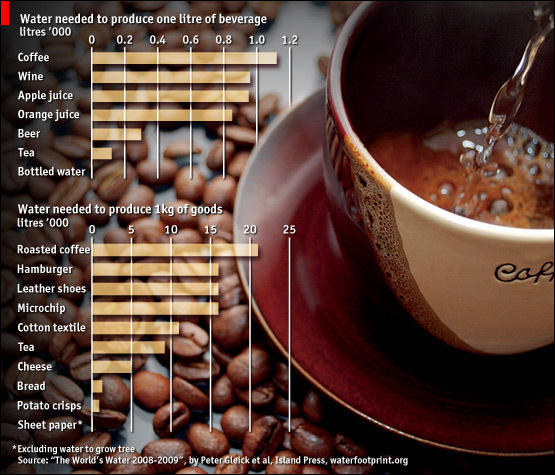 Coffee is not the most environmentally friendly drink out there – especially when you’re considering the water used to produce it.